Celebration time! We’re featured in fRoots’s album choices again! | . astrakan project . Celebration time! 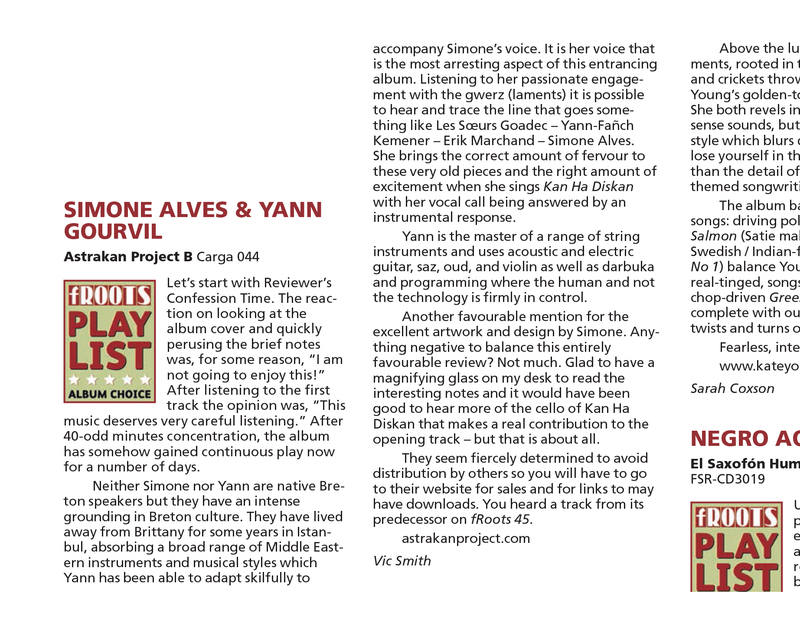 We’re featured in fRoots’s album choices again! The review for our first album in 2013 came like a surprise, we had never played in the UK, were not distributed, had got actually absolutely no review in France, it felt really like a recognition for us. For our album B, we weren’t sure fRoots would like it, it’s much darker, and rock. Yet they still recognized that it is nothing but 100% traditional Breton music, and this is truly a very nice surprise again! ← Promo time for album B!